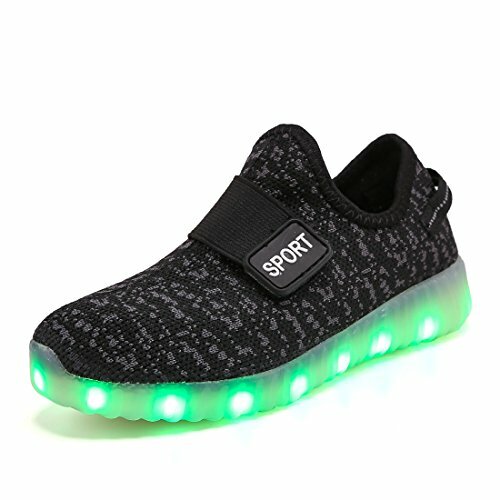 XZSPR is a brand specializing in LED shoes, Very popular in the WORLD. 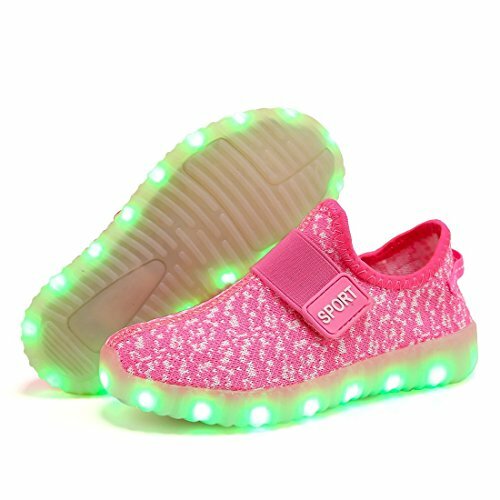 These Breathable Pink LED Light Up Shoes will surely blow your mind with its charming and cute color, white print on a pink background and white soles that light up with colorful lights when you turn on the button inside! 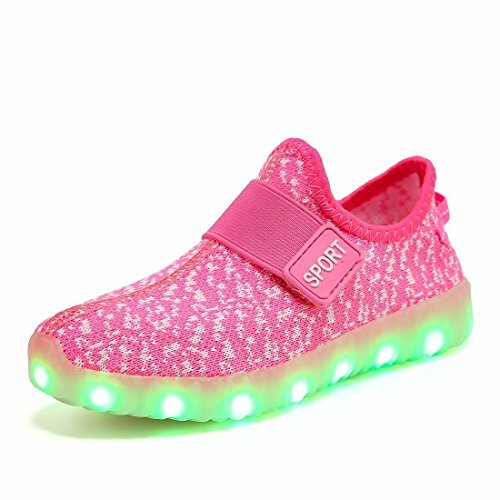 These pink and cute light up shoes can make you shine like a star in the night like a fairy, a princess or some magical creature! 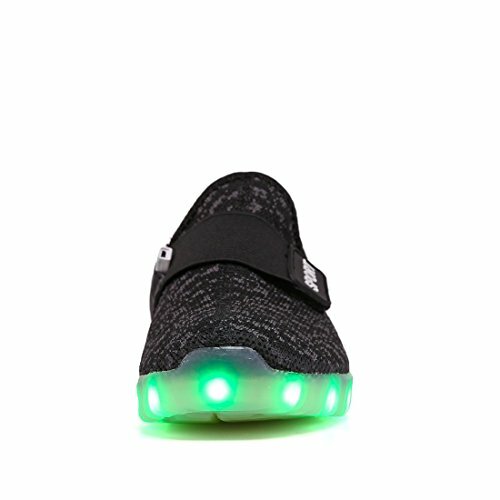 The lighting is composed of several colors; you can turn it on when you press the button inside the shoes. 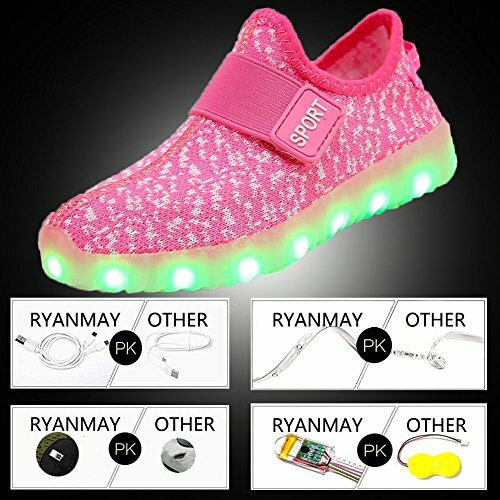 These beautiful LED light shoes are the best present for your sweethearts and children for birthdays, Halloween, Thanksgiving, Christmas Day and other festivals. 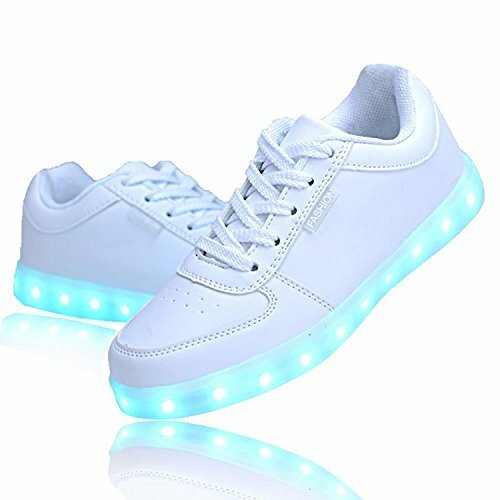 Awaken your light-up shoes and squeeze the button to switch on. With each press, it changes to another light mode, so it’s effortlessly beautiful! 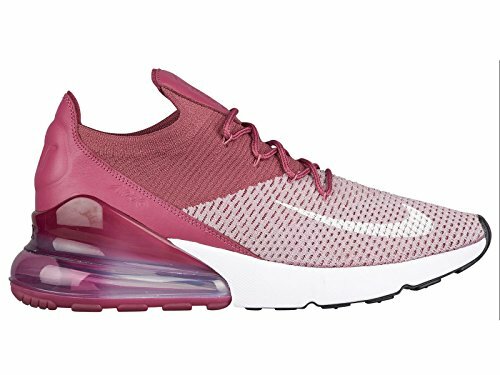 The inside of these shoes is additionally padded for comfort. 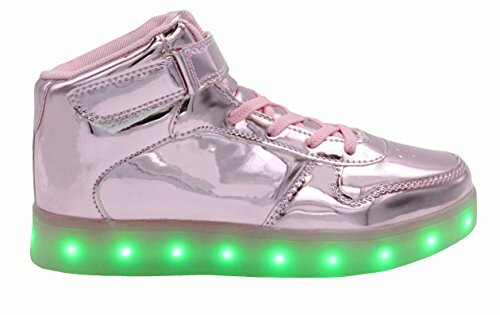 These light-up LED shoes are perfect for that club party, or for a basic night out. 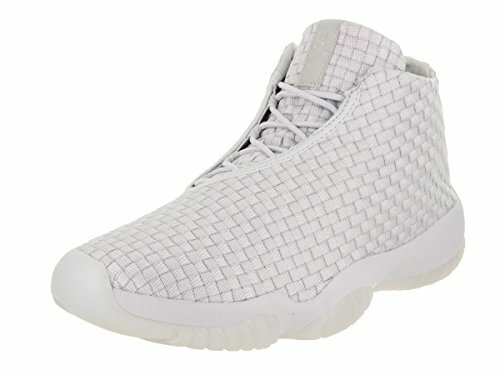 It is your best choice for footwear for any occasion you need to be present at. These shoes are additionally impeccable as presents for celebrations, birthday celebrations, and different occasions. These are likewise the best gifts for your youngsters. The switch is situated inside the shoes, and it’s near the USB port. You can squeeze it on to demonstrate the lights on particular modes. While charging, the light will routinely be turned off until the point that charging is finished. 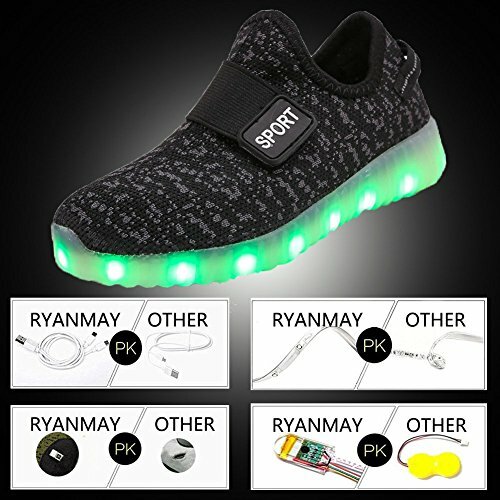 Shoes contain a USB charging wire, yet with no chargers. You can use your cell phone charger or PC USB port to charge the shoes. 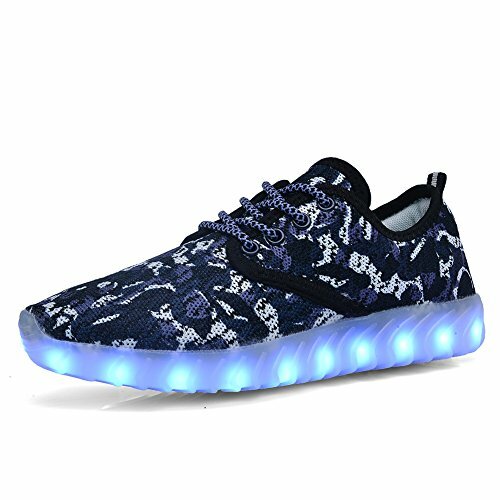 Right when the shoe LED light turns on, the lights will transmit stunning and mind-blowing hues. 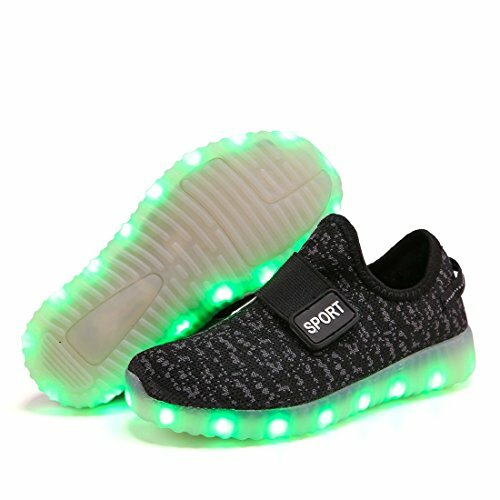 The LED lights around the soles of these shoes can edify your character! 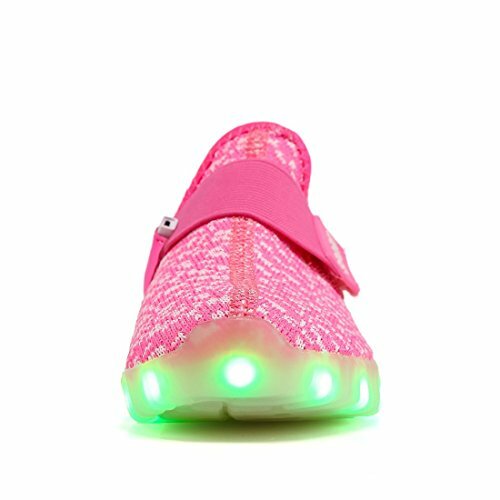 Get the Breathable Pink LED Light Up Shoes now!